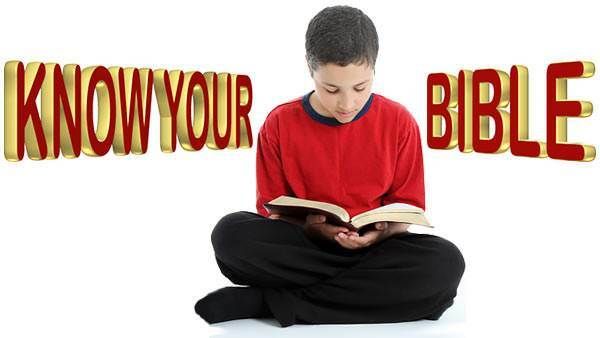 Mary of Nazareth, about whom you heard in our last story was so happy! 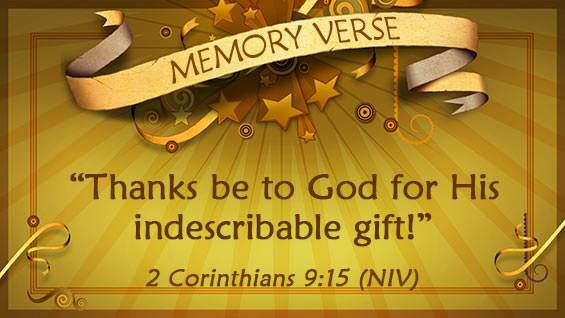 For she and Joseph had a lovely secret—God was going to send them a little Baby Son, whose name was to be Jesus. 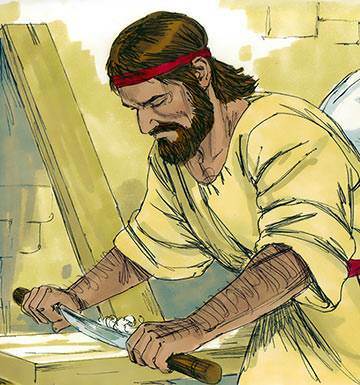 Each day Mary peeked into the wooden box where she kept the tiny garments she had made for her Baby; and in his workshop Joseph was very busy making a lovely cradle, strong and cozy. So Mary packed up a bundle of rugs and some of the tiny baby clothes she had made (in case God should send her little Baby while she was away from home), and early the next morning they left their little house to start the long journey. 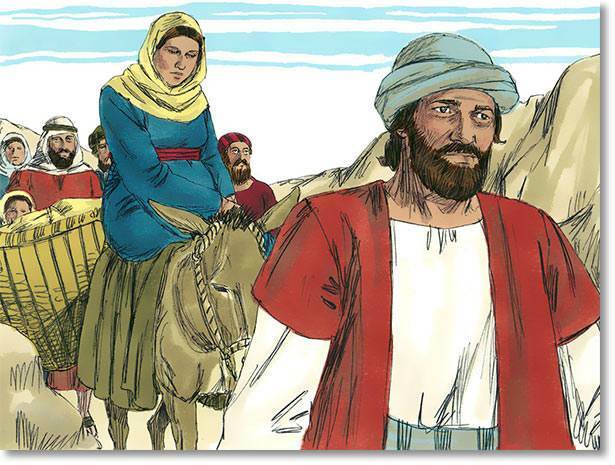 Mary may have sat on the back of a donkey, while Joseph walked by its side, carefully guiding it over rough places in the road, so that Mary would ride safely. They had picnic meals by the roadside and at night they slept under the stars, or at a little country inn. 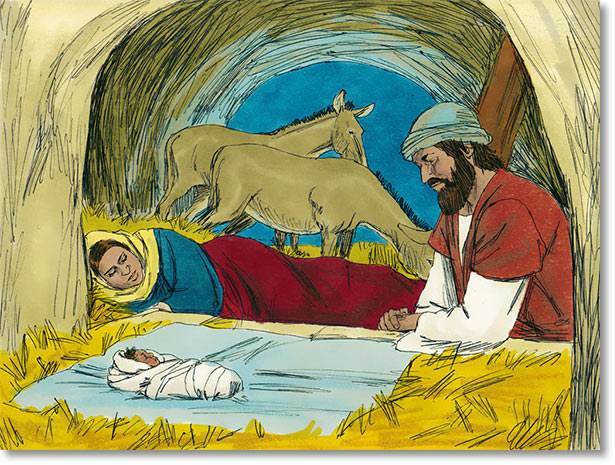 Joseph was getting worried, for it was nearly dark, and Mary looked so tired. At last they came to a little inn. 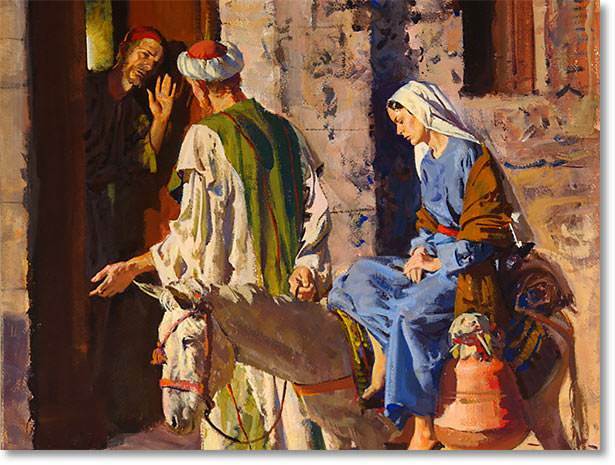 “Surely we shall find room here,” thought Joseph, as he guided the donkey into the courtyard. The landlord got a lamp and took them to a stable in the courtyard. Mary unrolled the bundle of rugs and opened their little basket of food. 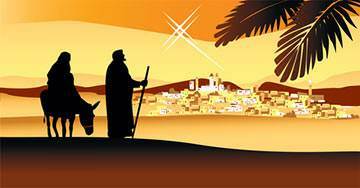 When they had eaten their supper she lay back in the soft straw and Joseph covered her with a warm rug. In the middle of the night Mary and Joseph’s lovely secret came true. 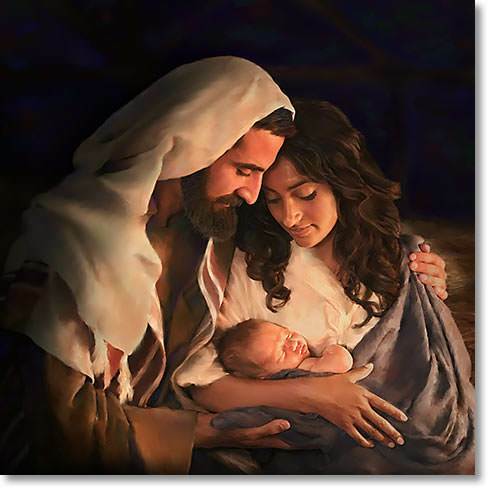 God sent them a tiny Baby Son: Mary wrapped Him in the soft baby clothes she had brought, and Joseph made a cozy bed of hay for him in the animal’s feeding trough—the manger. 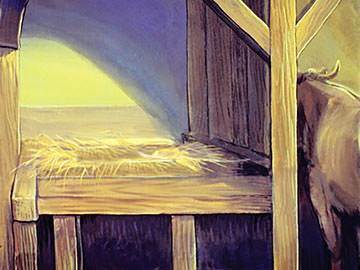 Then Mary lay down again in the straw with her face turned towards her Baby Son, so that she could watch Him as He lay sleeping. Mary had never been so happy in her life!